It’s close to what it is. I notice the door Scottie has a bandana. How do you two feel about this? Oooooh. Oooooooh. Oooooh. Porch Swing! 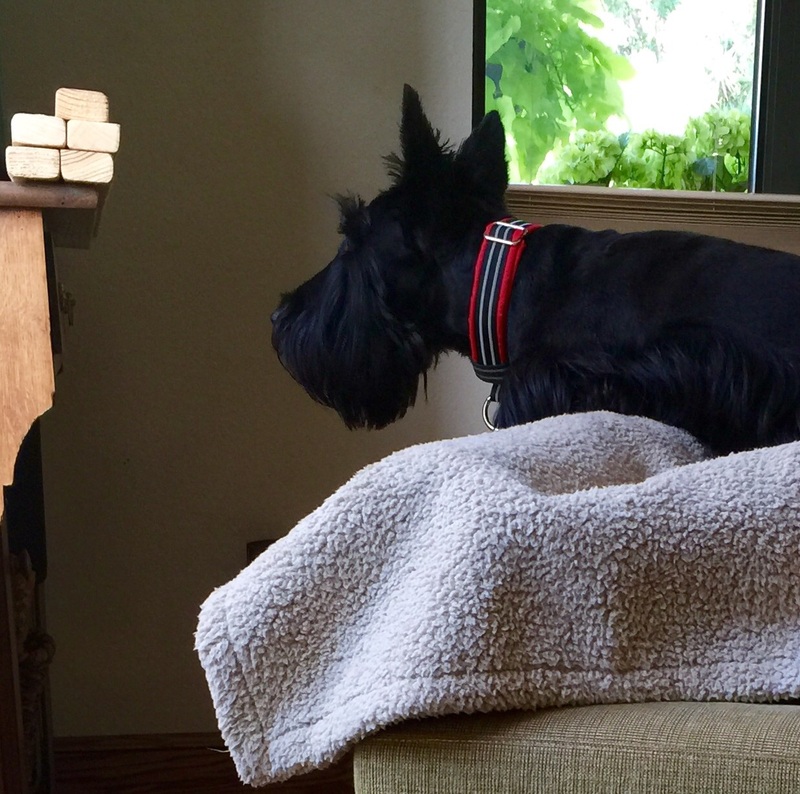 We love the bandana on the faux Scottie. The picture frames are great. Love the book ends, love the bandana on the door Scottie & I’m sure I will love the porch swing when it’s finished. The swing will be used a lot. Mom got Stephen Fowler pillows for on ours. You know the image of the Scottie wearing flip flops. Bet your Mom can find some great Scottie themed pillows for yours. She also got the matching rug and sewed rings on the back and used shower curtain hooks to hook it over the back. Its all about the Scotties! You have a very clever Mom. 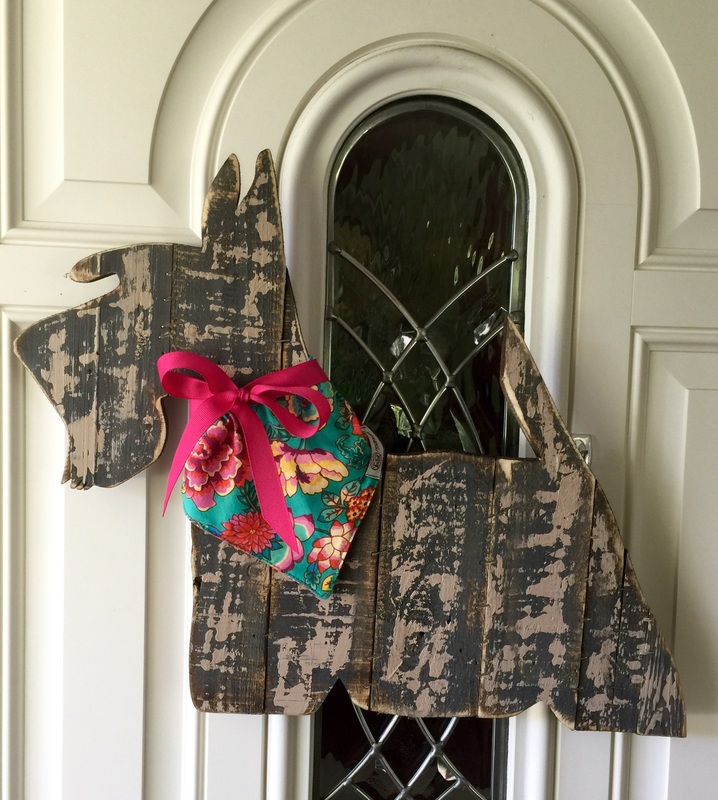 Where did you get the beautiful rustic Scottie door hanging? I would love to have one. Legends Sports Gallery. It is on FB. Call the owner Lori Glenn. She will fed ex it to you. 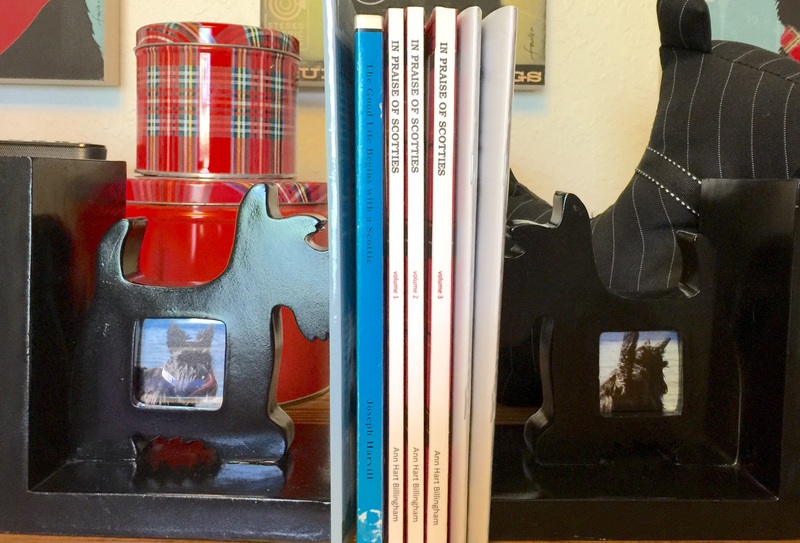 Just love da bookends and Scottie bandana! Is dat momma’s bandana “scapegoat”? Guess he doesn’t move anyway–right? Such a cute Scottie door hanging, tho’–and very useful to the two of you…hmmm? 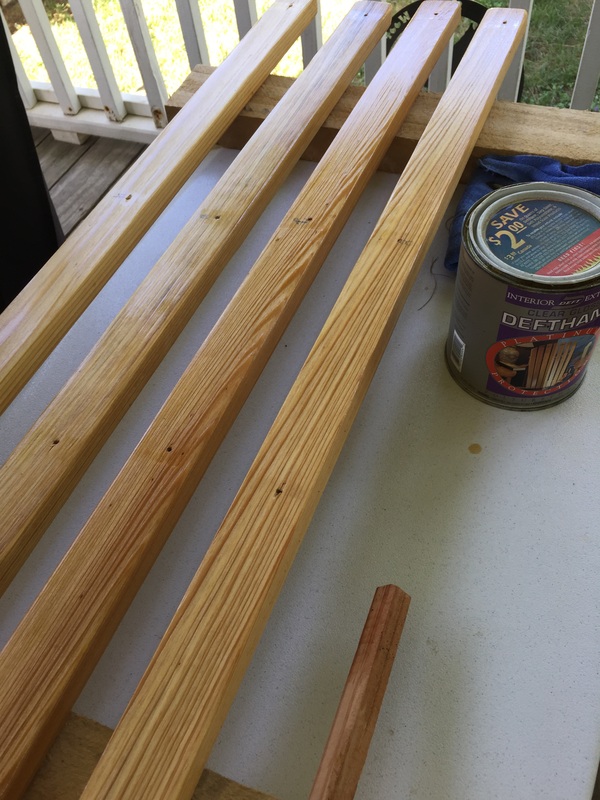 You’ll have so much fun on your porch swing! Wowsers, what a handy momma you have! You cans get a little breeze when you swings on da swing–cooling for hot evenings! Yay!